This article was posted on 11th August 2016. In today's tech-crazy, manic world - few simple pleasures bring such joy as a vase of beautiful flowers in our home. We love visiting the florists, flower markets or even the stall on the side of a country road for the freshest, seasonal blooms to fill our French bedrooms with floral notes. Of course, grabbing a bouquet along with the weekly shop at the supermarket is an easy option, but also rather boring - consulting a local, knowledgeable florist will not only ensure you the freshest of flowers, but they're always more than happy to share their secrets, tips and passion on getting the most from your pretty selection. Hey - I'm Emma, a floral artist and owner of Tigers to Lilies, an events and wedding florist business with workshops in Sussex and London. We do everything floral from weddings to large scale corporate events and fashion editorials. Flowers represent colour, nature, freedom and creativity, all my favourite things in life. What is your favourite flower or favourite floral style for a wedding? Tigers to Lilies floral style is gardeny, natural, with a touch of the wild. I love to use British foliage, berries and seed heads whenever possible. For large arrangements I love the combination of foxgloves, copper beech and ammi. Judy, can you tell us a bit about how Forage Flowers came about? Forage Flowers was born as a result of my youngest daughter requesting natural, home-grown flowers for her 21st party. Having worked as a gardener for 16 years I was disappointed at what was available and decided to set up a cutting garden on the farm where we live. I had previously trained as a florist at Jane Packer, London. After overwhelming order requests for our very natural Christmas wreaths and other flower arrangements started to come in, Forage Flowers grew. What is the most unusual combination of flowers you’ve put together for a wedding that wowed the bride? Our most unusual combination of flowers always combines a natural foraged or home grown element. For a late spring wedding we included farm blossom, flowering hawthorn, new spring green tree foliage and cow parsley with the brides choice of flowers. For another recent wedding the bride asked us to use only flowers from her own ancient farmhouse garden and we included many of her heritage medieval roses. When is it best to start consulting a florist for the big day? Tigers to Lillies: I would advise to find a florist 6-9 months before your Big Day. 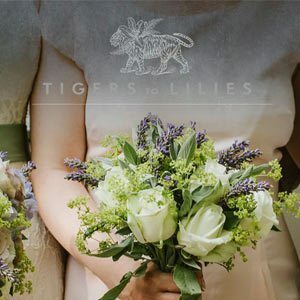 Tigers to Lilies only take on one wedding a weekend, so we start to take bookings a year in advance. Its never to early to get involved but equally its never to late. Last year we got booked for a wedding two weeks before the Big Day. What are the latest or your favourite trends for wedding flowers at the moment? Forage Flowers: We do follow trends and our favourite trend is to always follow the seasons and the natural environment. 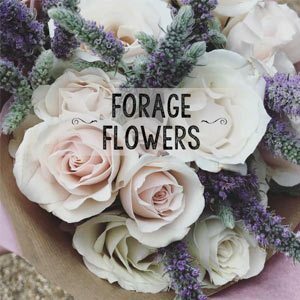 We aim to grow flowers which are not always available and use our own farm foraged foliage to create a very unique,natural, country style. Tigers to Lilies: At the moment I love to use scented herbs in the bouquets and buttonholes and to wrap the bouquets in hand dyed raw silk. What is your wedding flowers top tip for any bride to be? Tigers to Lilies: Find a florist that you feel you can collaborate with. Check out their Instagram and website and see if you like their style. Forage Flowers: Our top tip for a bride is to have a wish list of her favourite flowers, colours, style etc and any information of dress, venue choices etc. However we are here to help and advise especially if the bride needs flower advice. For more inspiration on beautiful blooms, why not head over to our Pinterest board dedicated to floral fancies. Are you thinking of getting married? Know someone getting married? Just dreaming? 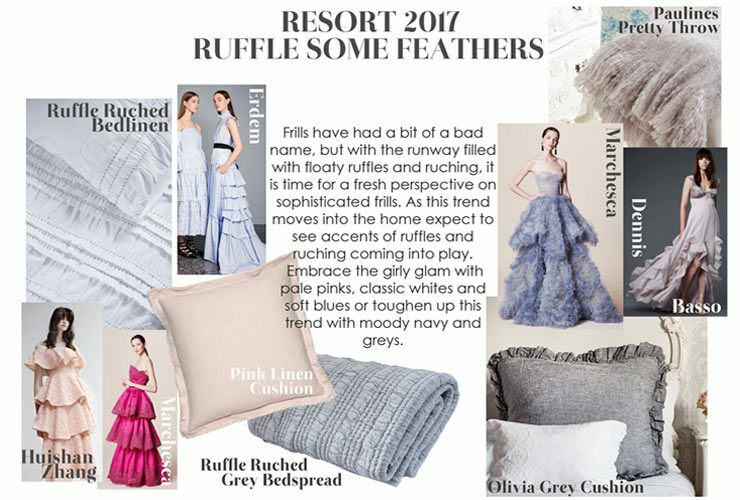 We offer a bespoke wedding list service to compile all your favourite French Bedroom Company goodies for your guests to gift you on your special day. Please contact our Wedding List Co-Coordinator, Zoe on 01444 415430 or [email protected] for more information.